Home > Shop > Tea > Liu’an Guapian Green Tea 8 oz. Liu’an Guapian Green Tea 8 oz. Liu’an Guapian Tea (Melon Seed Tea) is a famous Chinese green tea with a long history, and it originates in Qiyun Mountain in Liu’an District, Anhui Province. It distinguishes itself among the other famous chinese tea for the endemic species of the local area, and the collecting skills and its processing arts and crafts, thus forming its unique style. 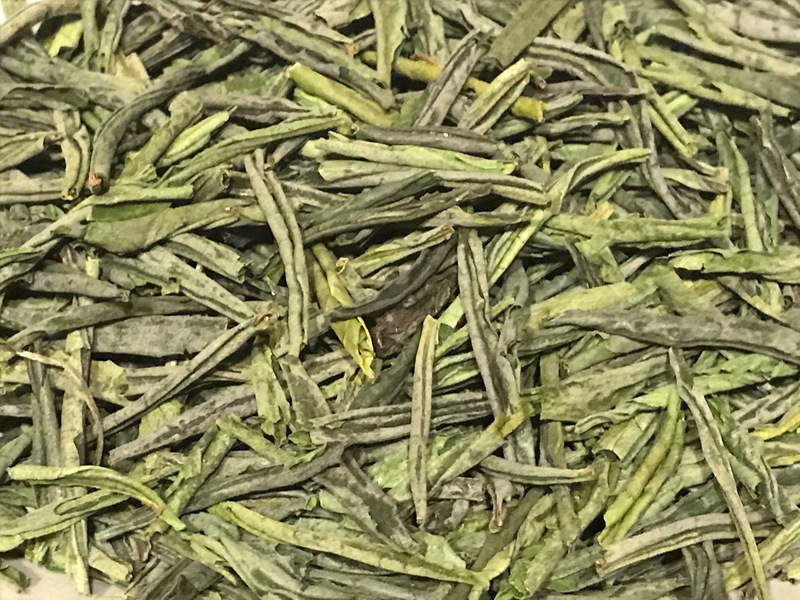 It is the only kind of flat tea without stem among green teas, and its shape looks like the melon seed, its color is verdure, its fragrance is thick and its taste is sweet. Liu’an Guapian Tea is traditionally listed among the Top Ten Chinese Famous Teas. It was also the winner of the China Tea Award in 1982 and China Food and Drink Award in 1988 for its superior refreshing taste and quality. The history of Liu’an Guapian dates back to the Tang Dynasty, where records were found in Lu Yu’s Cha Jing (first ever book on tea) describing it as a “Superior Tea”, and it was also a tribute tea in the both Ming and Qing Dynasties. Liu’an Guapian Tea can not only help to eliminate the hotness and satisfy the thirsty, but also the digestion. It is also said to be able to help improve vision and sleep disorder. Consequently, it is regarded as a treasure tea. The Premium Liu’an Guapian Tea showed here by ViconyTeas was totally hand made in the traditional way with the tea leaves harvested during late April from the Qitou Mountain, one of the core growing areas of Liu’an Guapian Tea.